WiserUTips: Is freelancing for me? Take this quiz to find out! Is freelancing for me? Take this quiz to find out! Freelance opportunities are available in a huge number of industries, and the Internet has made it easier than ever to get your name out there. However, no amount of previous work experience will prepare you for freelancing if you don’t have the right traits. Do you really have each of these key traits required to be a successful freelancer? To go freelance, your organizational skills have to be fabulous. The buck will rest entirely on you, so there will be no one to delegate to when you realize a two-hour job is going to take five. On top of the work you’ve agreed to, you’ll have to make time to source new work, chase monies owed and keep the tax man informed. Oh, and you may want a life on top of this. Freelancers need to keep any natural shyness for nonworking hours and be prepared to meet and/or speak with total strangers when necessary. You’ll need to go further than producing great work delivered on time – some clients will see you as an extension of their office staff at their constant beck and call. Forming professional friendships and setting boundaries with customers gains trust. Be prepared for rejection slips or a total lack of response to work that you’ve pitched. It won’t matter how genius your proposed work may be – the quicker you can get the next freelance proposal completed, the more successful you’ll be in the long run. Freelancers need to accept rejection as nothing more than part of the daily grind. Sleep may need to go on the back-burner for awhile, especially when you’re getting started as a freelancer. Some jobs will take longer than expected, or a great last-minute opportunity may present itself -- throwing you off your schedule. With no job security, you’ll often need to take on additional projects, regardless of the unsociable hours required to complete them. Brilliantly original ideas will need to erupt from you quickly like water from a fountain. Regardless of your chosen field, you’ll be competing with other brilliant freelancers and your proposals will need to stand out from the crowd. Always have a plan B and even a plan C, should your first idea hit snags en route to completion. Be prepared to shift your life-interests around work. Until you are well-known with regular work coming in, you can't afford to turn down work. Whenever the call comes, be ready to meet it, even if it means missing your weekly yoga class. A successful freelancer needs to market themselves because unless you have a string of clients when you start out, you’ll be starting off as a complete unknown. You can’t afford to simply put your name out there and wait for others to come to you. Attend networking events, mingle with other freelancers and potential employers, and approach companies directly for work. One often-heard complaint from freelancers is that they have either too much or too little to do. Months of 60-hour working weeks may be followed by long periods without a single scrap of freelance work. Stay positive, be patient, save money during the good months, and remind prospects and customers of your expertise and availability. Freelancing can be a lonely job. In many industries, the work will have to be completed by you, and you alone. If the thought of staying in the house for days on end and conversing only with the mail carrier makes you quiver, freelancing may not be for you. Being a successful freelancer means being a good multitasker. You’ll be the boss of your enterprise, but typically, you will also need to be the marketing department, customer service rep, accountant, and more. Changing duties daily and having to be expert in each area can make you feel overwhelmed. If you have what it takes to go freelance, put together a marketing and sales plan to ensure your success. Determine a budget that will allow you to grow your business without undue financial pressures. Ensure everything freelance-related is accounted for, from stationery and travel costs, to the coffee you drink while working. The appeal of working freelance can quickly grow stale if you don’t get to leave the house for days at a time. Choose a work space where you can thrive, whether it's a room in your house, a desk in a co-working space, or a favorite table in a coffee house. Purchase any essentials that you will need. Even if the first few weeks involve nothing but contacting people and attending networking events, have a schedule so that you'll stay on course and not get distracted. Given the competitive nature of most industries, you’ll need to find a niche so you stand out from the crowd. Research competitors, decide how you’re going to pitch yourself and create a brand to get noticed. Work out your rates and be flexible (but be sure you're being paid fairly). Clients may price jobs in different ways, from hourly rates to total work delivered. Let the taxman know in advance of your plans. Freelancers usually need to file quarterly tax estimates to let the IRS know what you expert to earn. Work out how long you can survive without a job coming in – a small business loan may be useful to get your venture off the ground. If you have what it takes to be a freelancer, get started today! You just may find that being your own boss is the best way to go. Post provided by Money Guru, a comparison website authorized and regulated by the Financial Conduct Authority as a credit broker. Money Guru Limited is an appointed representative of Quint Group Limited, and is entered on the Financial Services Register under reference number: 740565. Quint Group Limited is authorized and regulated by the Financial Conduct Authority and is entered on the Financial Services Register under reference number: 669450. Money Guru Limited is registered in England and Wales (company number 09842787), Registered Office; Oxford House, Oxford Road, Macclesfield, Cheshire, SK11 8HS. Licenced by the Information Commissioner's Office, (registration number ZA188630). Thanks for the post, Money Guru! 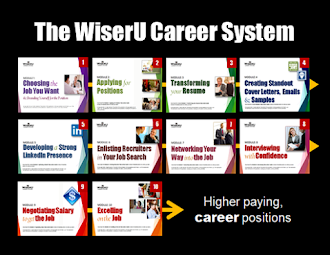 Subscribe to WiserUTips for weekly LinkedIn and career tips!